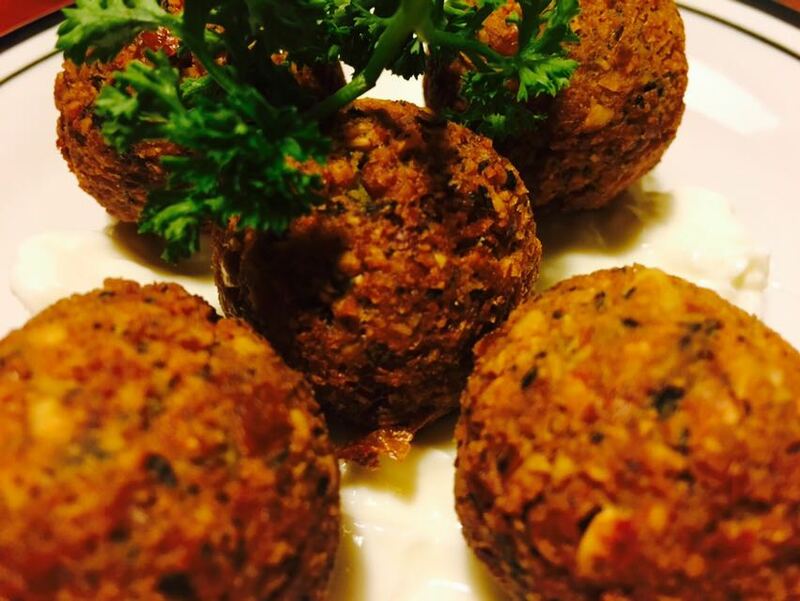 Falafel, a middle eastern dish of spiced mashed chickpeas formed into balls or fritters and deep fried. Another dish that was in my must try list and are we happy? We are elated. Soak the chickpeas overnight/ 6 hours, then drain. Place the drained, uncooked chickpeas and the onions in a food processor, add the parsley, corriander, salt, chilli powder, garlic, and cumin. Process until blended but not pureed. Add the baking powder and the flour, and pulse. You may add more flour so that the dough forms a small ball and no longer sticks to your hands. Turn into a bowl and refrigerate, covered, for atleast 1hour. 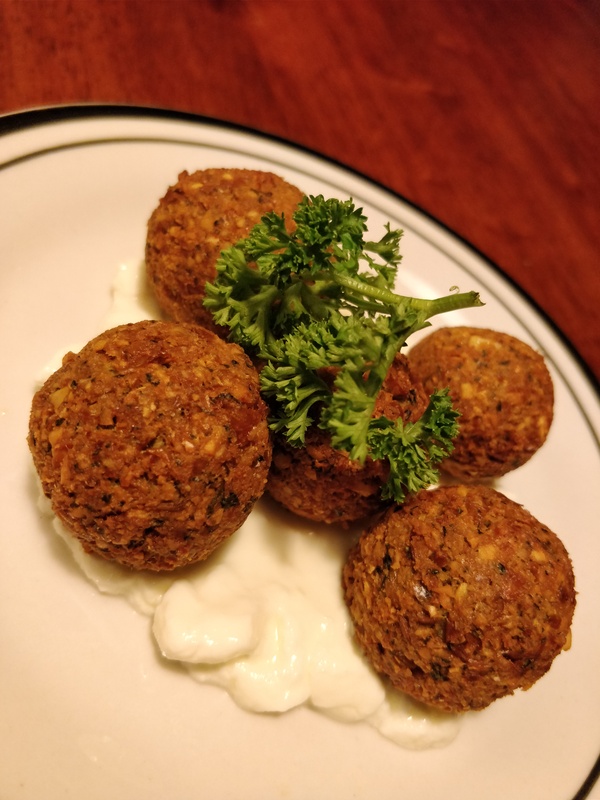 Form the chickpea mixture into balls about the size of small lemon. In a pan take oil and deep fry. If it falls apart, add a little flour. Fry on medium flame, till it’s golden brown. Drain on paper towels. I served it with hung curd mixed with thahini and cummin powder, chilli powder and salt. ← Bharathi Mess, triplicane, Chennai.